South Libya is the beginning of the journey for many of the migrants that are trying to reach the coast. 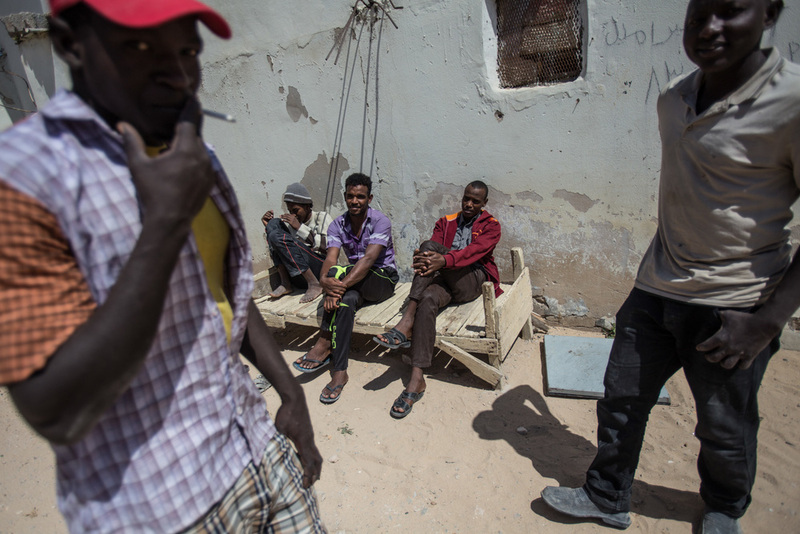 In Ghat, a border town with Algeria, many migrants have chosen to stay due to work opportunities and fear of the increasing risk in the journey through the Sahara. Ghat, Libya. 2015. Due to the lack of embassies and proper infrastructure to receive the migrants, the detention centers lack any health facilities and the persons are held in confined, dark, humid areas, causing health concerns. Misrata, Libya. 2015. For weeks and even months many men and women with children have been detained waiting to be deported to their countries. Misrata, Libya. 2015. Woman and children are also detained, though separated from the men, there does not exist female guards in the detention center in Sepha. Sepha, Libya. 2015. In the long journeys through the dessert many migrants travel hidden in trucks without water or food and in incredible high temperatures. This man was found in the dessert dehydrated in whit gangrene is his arm that has to be amputated in Sepha central hospital. Sepha. Libya. 2015. Christian Church, have become the encounter points of many of the migrants that have been living for years in the country and the ones that are arriving. Tripoli, Libya. 2015. 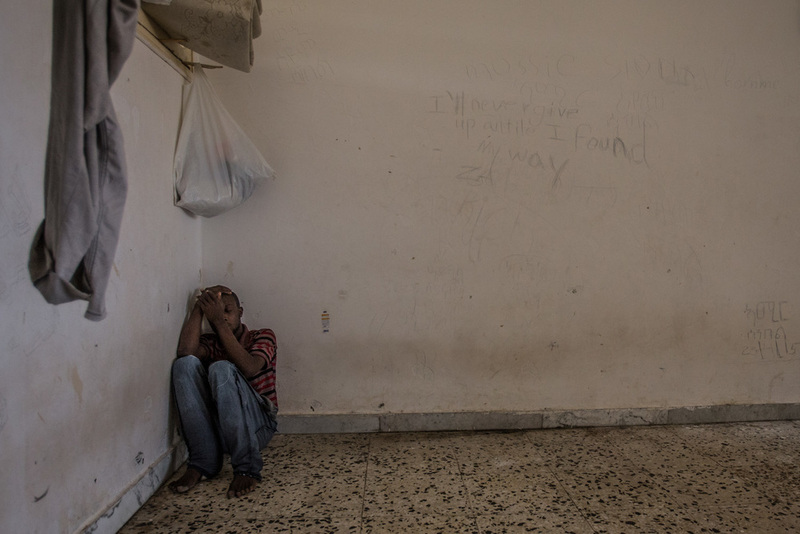 Lately one of the issues of migrants has been security measures, some have began returning to their countries due to the fear of the advance of IS in parts of Libya. Tripoli, Libya. 2015. 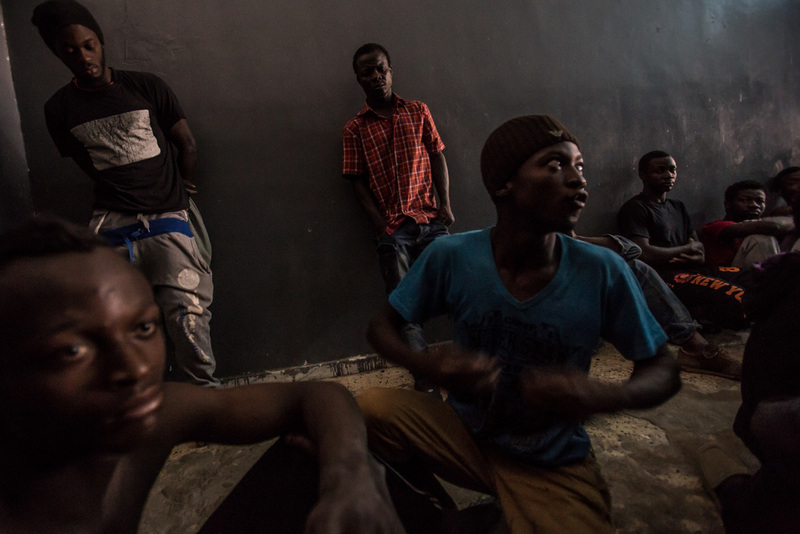 Many migrants have been living in Libya for several years, decades even. They have formed a community around different Christian faiths in big cities like Tripoli. Tripoli, Libya. 2015. 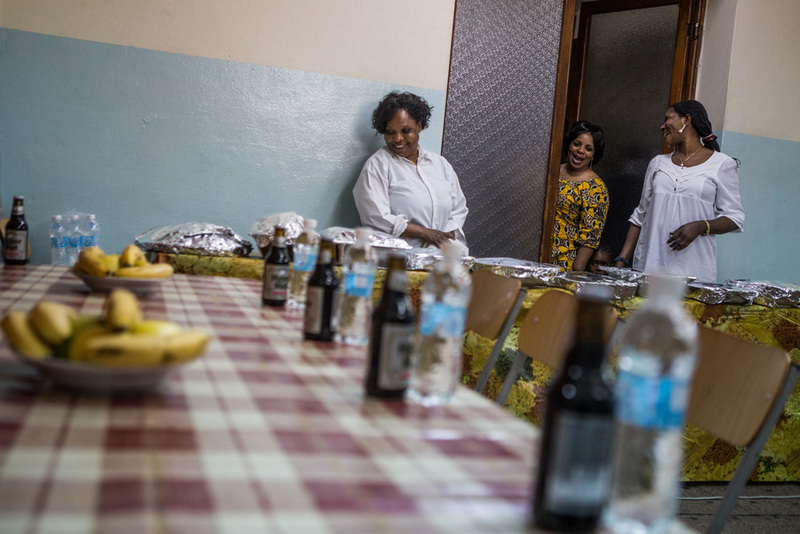 Due to security concerns the different places where migrants get together for religious purposes have also become used for social interaction of the community. Tripoli, Libya. 2015. The street corners of Misrata have been often and increasingly the point of reunion for many seeking for a day job. Tripoli, Libya. 2015. 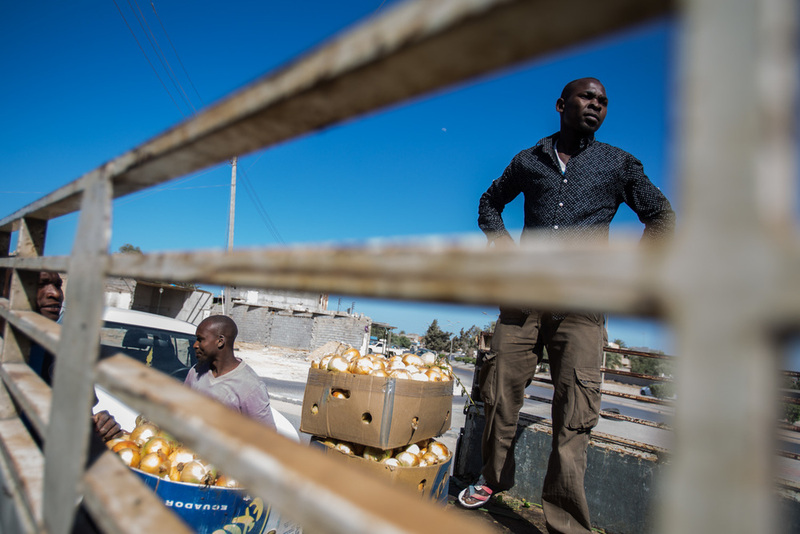 Many of the men wait all day in the sun for the opportunity for work, some have claim that with the big demand of workers, the pays has lowered. Tripoli, Libya 2015. Many of the workers only find day or hour work, some claim they are just for work and send money back to their families, but other work saving money to pay their trip to Europe. Tripoli, Libya. 2015. Many of the young men on the streets find day job in physical demanding works, such as lifting loads and construction work. Tripoli, Libya. 2015. Many will wait 3 to 6 months while saving to have enough money to have a space in the rafts that will take them to European coasts. Misrata, Libya. 2015. Aunque no es nuevo en Libia que los migrantes que vienen de África Sub-sahariana sean los que hagan el trabajo pesado, con el caos actual, el pago y las condiciones de trabajo son cada vez mas díficiles. Misrata, Libia.